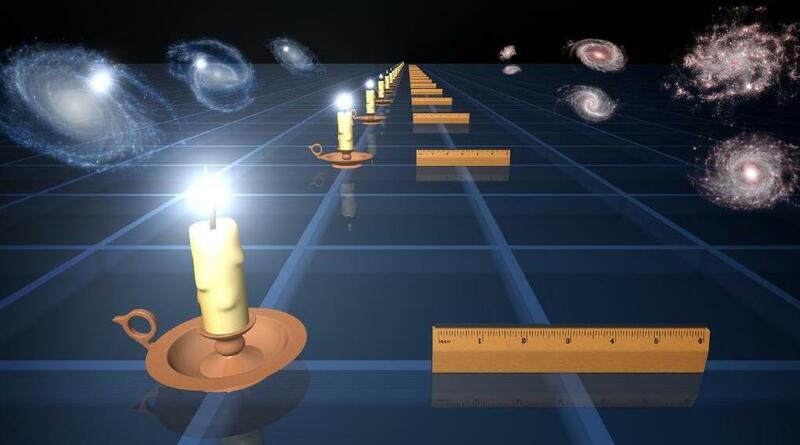 Dark energy is an unknown form of energy that is proposed to drive the accelerated expansion of the universe. A new study by University of Georgia professor Edward Kipreos suggests that changes in how people think about time dilation—the slowing of time predicted by Albert Einstein—can provide an alternate explanation of dark energy. In the recent Hollywood film “Interstellar,” a team of scientists travel through a wormhole in space to access planets with promising conditions to sustain life on Earth. One of the issues the team must grapple with is time dilation: each hour spent collecting data on a given planet is equal to seven years on Earth. Einstein’s general theory of relativity indicates that time dilation in response to gravity is directional in that an object in high gravity will have slower time than an object in low gravity. In contrast, Einstein’s theory of special relativity describes reciprocal time dilation between two moving objects, such that both moving objects’ times appear to be slowed down relative to each other. The new paper makes the case that instead of being reciprocal, time dilation in response to movement is directional, with only the moving object undergoing time dilation. The study, “Implication of an Absolute Simultaneity Theory for Cosmology and Universe Acceleration,” was published Dec. 23 in the journal PLOS ONE. A molecular geneticist whose lab works on cell cycle regulation, Kipreos became interested in cosmology and the theory of special relativity several years ago. He says the phenomenon can be easily understood in the context of how Global Positioning System satellites work. 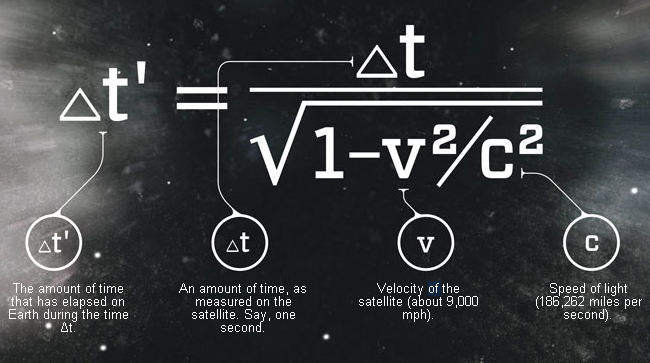 This simple example—GPS satellites sending out the time, which is then detected back on Earth, where the distance between the two is measured—is based on the theory of special relativity and the Lorentz Transformation, a mathematical map that describes how measurements of space and time by two observers are related. An alternative theory, the Absolute Lorentz Transformation, describes directional time dilation. Kipreos found that this theory is compatible with available evidence if the “preferred reference frame” for the theory, relative to which directional time dilation occurs, is linked to centers of gravitational mass. Near the Earth, the preferred reference frame would be the “Earth-centered non-rotating inertial reference frame,” which is currently used to calculate the time dilation of GPS satellites. “A strict application of the Absolute Lorentz Transformation to cosmological data has significant implications for the universe and the existence of dark energy,” Kipreos said. 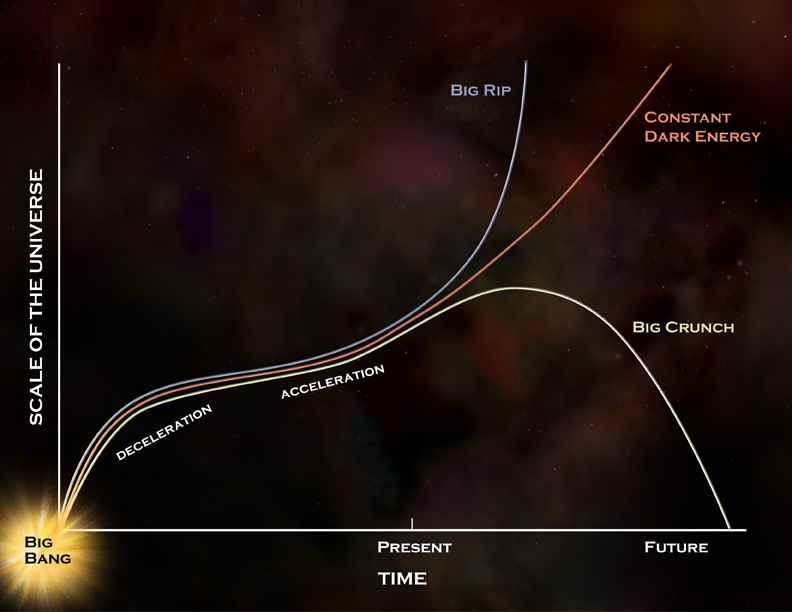 As the universe gets larger, cosmological objects, such as galaxies, move more rapidly away from each other in a process known as Hubble expansion. The Absolute Lorentz Transformation indicates that increased velocities induce directional time dilation. Applying this to the increased velocities associated with Hubble expansion in the present universe suggests a scenario in which the present experiences time dilation relative to the past. The passage of time would therefore be slower in the present and faster in the past. Supernovas that explode with the same intensity are used as “standard candles” to measure cosmological distances based on how bright they appear. Supernovas that are relatively close to the Earth line up on a plot of distance (based on the redshift of light) and brightness. However, in 1998 and 1999, the observation that supernovas at greater distances are fainter than would be expected provided evidence that the rate of universe expansion has accelerated recently.